The much hyped fight between the Filipino eight division world champion, Manny Pacquiao and the undefeated American five-division world champion Floyd Mayweather Jr finally took place as scheduled on the 2nd of May. At the end of the twelfth and final round, the Money man Mayweather was adjudged the winner in a unanimous decision by all three judges. A lot of people felt that the boxing bout didn’t exactly live up to its billing as the “Fight of the Century” as dubbed by its promoters. Those who were expecting to see a technical knock out ended up disappointed, but at the end of the day, the man tagged the best pound-for-pound fighter by many sporting news and boxing websites took the day. In similar fashion, Chelsea Football Club literally wrapped up the race for the English Premier League title by winning their match against Crystal Palace on Sunday, with three matches still to play before the season eventually winds up. Boxing and Football are two entirely different sports, but the two winners in this scenario became champions in pretty much the same way – doing the needful to achieve the desired result! Many have criticized Mayweather’s fighting style on Sunday, saying that he clearly avoided really getting into the bout with the much more offensive Pacquaio who appeared to be fearless and brazen regardless of his underdog status, just like Chelsea, under the irrepressible Jose Mourinho have been taunted and tagged as boring despite putting up the most consistent performance this season having spent 253 days so far at the top of the Premier League. However, all that matters is that they emerged champions at the end of the day irrespective of what anyone thinks! For the sake of argument, had Manny Pacquiao done his homework well he would have realized that his opponent has always been more of a defensive fighter who blocks and deflects most of his opponent’s punches while waiting for his opportunity to land accurate punches, (which explains why he always had relatively few scars and was nicknamed “Pretty Boy” by his amateur team mates) and would have found a way to circumvent his technique rather than fight “blindly.” Mayweather has always been known for his defensive techniques, he was taught to be that way by his boxer father and uncle and that is not likely to change soon. Champions play to their strength regardless of how conservative or negative it may appear to others, as their goal is to win and not merely participate. This was evident in the result which showed that Pacquaio threw far more power punches – 236 in all, but could only land 63, while Mayweather with a more conservative 168 punches was able to land 81 of them! While the total punches for the two fighters also proved that the Money man was able to connect 34% of his punches as opposed to the Pacman’s 19%. Hence, the reason why Mayweather clearly won. Champions don’t expend energy needlessly… you don’t have to like Chelsea to admit that they have been by far the best team in England this season. In the earlier part of the season when they needed to be more attack minded, they were. Towards the latter part of the season when they needed to be more defensive in their approach to games, they pulled it off perfectly. They may have been slightly boring as many have said, but I choose to see it as being pragmatic and ruthlessly efficient. One thing mattered to Chelsea – winning the league. And that they did it in their own style. This reminds me of how they won the 2011/2012 Uefa Champions League which pundits never predicted they would win by using the same defensive strategy. 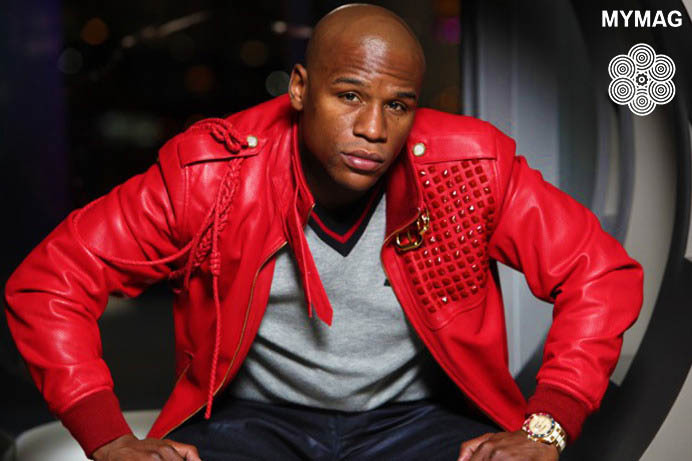 Champions don’t play to the gallery, they play for themselves; a look at the track record of Floyd Mayweather who now has 48 wins and no losses in his professional career reveals a man who is all about results. So also is the philosophy of Chelsea Football Club under Jose Mourinho who has now won 2 titles in 2 years. Love them or loathe them, it is obvious that these ones have found the right formula when it comes to winning and cannot be bothered about changing it and risking the possibility of losing just to please the fans. At the end of the day, everybody wants to win. Results are all that matter. It’s like having a baby – whether a woman decides to go through the rigorous and painful process of labour or opts for a Caesarean section, what matters is that a healthy baby is born. Ten years down the line, no one is going to remember how the baby was born! Ambitious people don’t go through life wanting to be remembered for just passing through and achieving nothing substantial in the process. What Floyd Mayweather and Chelsea have taught us is to channel our energies in the right direction in order to achieve the desired result. Your head dey there jare Lolo. I just hope ‘Possession United’ can take a cue for next season. Ha Ope! You’re yabbing my club, well done o! I’ll grudgingly agree that you’re right anyway. Thanks! Good to read from you Fola. Thank you. Ololade, you stepped in in another dimension today. The dynamism of your works are a true reflection of the quality of your thoughts. How you nailed your points from the platter of sports without equivocation, leaves me awestruck. I admit that many of us who love to dot the i’s and cross the t’s often end up abandoning the remainig 24 alphabets. Our perfectionist mentality often earn us encomium without accolades. Thanks so much. It just occurred to me that these guys are so result oriented and it works for them consistently. Hmmm, it’s unfortunate I don’t like football or boxing sports. They annoy me and I don’t understand anything about these games but ur explanation was well understood. Hahaha. I feel you dear. What’s most important is that you got the message which means my work is done. Thanks Anwuli. Annoyingly so. . You are correct about those two. I have got not much love for either of the parties, so naturally i felt they “robbed” their way to victory. For chelsea, Hazard’s professional dive in the box 18 against Crystal Palace and for Floyd; his being evasive all through the bout. But hey. . What was the result? They both ended being champions! While you have rightly pointed out that they both had their focus on the target result not caring so much about the “finesse” of the mode adopted to achieve victory, some of us may jolly well ask; where is the honour in their methods? I guess the debatable question is; Does that “honour” really matter afterall???? Another smart piece of work Lolade. Kudos! You have raised a very valid point here. Honestly, I’d rather support an entertaining Barcelona or Arsenal than “boring” Chelsea but all the same it’s about finding a working formula oneself, which is why I can’t begrudge teams or individuals that defend too much for what they do. Thanks as always! Lolade, I must say that you outdid yourself with this piece! More power to your elbow. The 2 we have to learn aren’t on my list of interest For different reasons but they are champions. Hmmm, interesting. Would have liked you to elaborate more on that. Thank you.